Homeschooling is an alternative way to complete your high school education from home. Homeschooling is the most flexible form of education for adults with full-time schedules or living in rural areas. YES! Homeschooling is legal in all fifty states and many other countries. + What are the homeschooling laws in my state? Every state has its own laws regarding homeschooling. 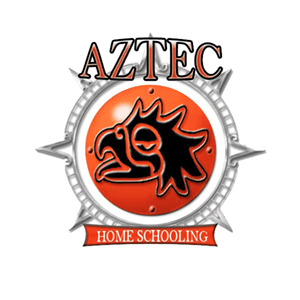 Aztec Home Schooling will ensure that all laws in your state are followed while pursuing your Home School Diploma. Individual state home school laws are available at www.hslda.org and your states public education websites. + What do I need to enroll with Aztec Home Schooling? All AHS requires for registration is your full name, date of birth, mailing address and phone number. The total cost of the program is $300 for each student. + Is it possible to incur other fees? Rarely, only if you do not complete the program successfully and would like to retake or did not complete within the allowed 12 months. + What is the success rate? Over 90% of registered students pass and graduate with their high school home school diploma within 1 year of registration. + How can I pay for my program? AHS accepts cash, check, money order, debit card and credit card (Visa, Master Card, Discover). + What should I expect once I have sent my registration to Aztec Home Schooling? Once a registration has been completed and received it will take up to 14 days to process your information including shipping time. Once all information is processed you will officially be recorded as a home school student in your state and your home school program will be mailed to you USPS. + What if there are errors on my registration form? If any information is missing you will be contacted within 14 days for corrections. + How long does it take to complete my program? Most students can complete the program in about 60-120 days. AHS allows up to 12 months from date of registration to successfully complete your program. Many State's have a required length of time the student must be working on their material until completed. + How long does it take to receive my diploma once all coursework has been turned in? Total grading and processing time may take 30-45 days from the time AHS receives your material in their home office to the time a Diploma is issued. This does not include any mailing time. + Can I go to college, join the military or find employment with a diploma from Aztec Home Schooling? Yes! AHS graduates have gone on to many colleges, fields in military service and professional careers. AHS offers free transcripts to the organization of your choice. Although no high school can guarantee acceptance into any institution, more and more colleges are becoming familiar with homeschooling and comfortable with the acceptance of home schooled students. + What if I am denied entrance into an institution? It is always up to the student to contact their college admissions officer, recruiter or employer to determine the acceptance of homeschooling. If needed, AHS will contact any institution that does not accept your diploma.